silent--and wet--type, the Creature from the Black Lagoon. In 2011, she wrote her autobiography, with son Mitchell Danton, The Lucky Southern Star: Reflections from the Black Lagoon. Ms. Adams is currently on a book tour, but took time out of her schedule to talk with the Café. Café: You co-starred with James Stewart, Arthur Kennedy, and Rock Hudson in one of the finest Westerns of the 1950s: Bend of the River. What was it like working with that all-star cast and director Anthony Mann? 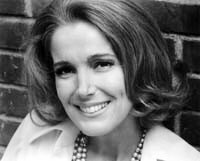 Julie Adams: Some of my fondest Hollywood memories came from acting in Bend of the River. Working with James Stewart was an incredible learning experience for me; he was such a fine screen actor. Arthur Kennedy was also a real pro. He had a great deal of stage experience and that brought a unique acting style to the ensemble. Rock Hudson and I became pals and later co-starred in another one of my favorites, The Lawless Breed. I also became friends with Lori Nelson, a lovely young actress. Today, we share a bond through the Creature trilogy of films. Lori played the Gill Man's object of desire in the second movie, Revenge of the Creature. I also loved working with director Anthony Mann, who had great energy. It was an action picture, so his upbeat nature brought a good tempo. We all enjoyed working with him. There was a sense of unity in trying to make the movie good. 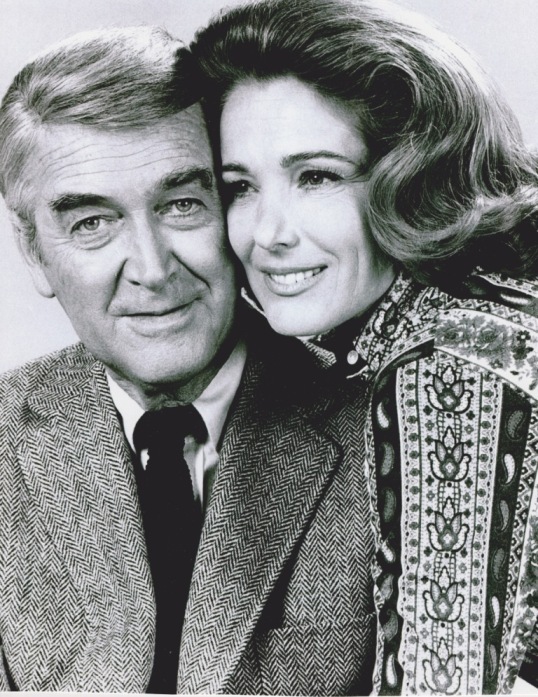 Café: Nineteen years later, you played James Stewart's wife on the television sitcom The Jimmy Stewart Show. How did you come to be cast in that role? in The Jimmy Stewart Show. JA: As I recall, a lot of women read for the role of Martha Howard, the wife of Professor James K. Howard (Jimmy Stewart). The day I tested for the part with Jimmy, I brought into play my genuine friendship and admiration I had for him as a person. I think that came through on the screen; we had nice chemistry together. After the screen test, he gave me a little nod and as I walked back to my dressing room I thought: "I think I have this part!" I was so thrilled. The show was not a success, and only lasted 24 episodes. But, as I've often said: "My idea of heaven was going to work with Jimmy Stewart every day for six months." Café: You're probably asked this a lot, but what do you remember most fondly about Creature from the Black Lagoon? in 1950s science fiction cinema. JA: I think it was all of the creative people who worked on the movie. Jack Arnold did a magnificent job directing, making a fantastic story believable. Makeup artists Bud Westmore and Jack Kevan were great friends and so very talented. The look of the Creature still captivates audiences today. I also became good friends with Ben Chapman and Ricou Browning, the men who portrayed the Creature on land and underwater. Of course, Richard Carlson and Richard Denning are compelling as two of the lead scientists on the expedition. The astonishing afterlife of this film never ceases to amaze me. I'm proud that it has entertained so many movie fans for so long. Café: You began your career while there was still a "studio system" that groomed stars. Do you think the demise of the studio system was a good thing or a bad thing? JA: I know several actors who had varied experiences with the "studio system." For me, it was a chance to work a lot and establish a name for myself in the movies. I had virtually no contacts when I came to Hollywood, and having a home base at Universal was a wonderful thing for me. I got to work with movie stars that I never would have even met were it not for the studio system. I'm not sure if its demise was a good or bad thing. Personally, I think it's harder for newcomers to establish themselves these days without the resources of a major studio behind them. Café: You starred opposite Elvis Presley in Tickle Me (1965), once describing the plot as "the reverse of a boss chasing the secretary around the desk." 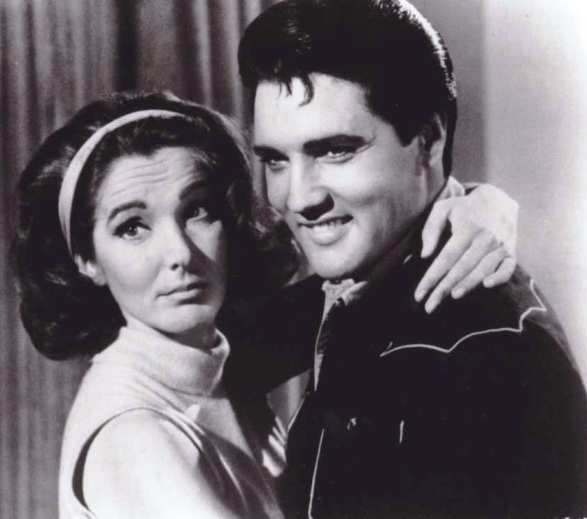 What was your impression of Elvis as an actor? JA: Despite his status as a superstar singer and stage performer, Elvis took his acting very seriously. He was always prepared, and did a good job in the roles he was given. When he did his musical numbers in Tickle Me, sometimes walking from table to table in a nightclub set, he did them perfectly in one take! Café: You guest-starred in some of the most memorable TV series of the 1960s, from Perry Mason to Alfred Hitchcock Presents to 77 Sunset Strip. If you had to name one favorite, what would it be? JA: I loved working on all of them, but the one that stands out for me is Perry Mason. I guest-starred in four episodes between 1963 and 1965. Fans still remember one of my episodes vividly: "The Case of the Deadly Verdict," which is said to be the only case Perry Mason ever lost. I've gotten a lot of fan mail about that one, which is wonderful. I also thought Raymond Burr was one of the finest actors on television at that time, so working with him was always a pleasure. Café: You played real estate agent Eve Simpson in several episodes of Murder, She Wrote. What was it like working on that show with Angela Lansbury? JA: My character, Eve, was quite eccentric. She liked money and she liked men, and I had a lot of fun playing her. Eve would often say something outlandish that would leave Angela's character, Jessica Fletcher, speechless. Of course, Angela was a joy to work with. Playing comedy with an actress of her caliber was like driving in a fast car without the danger. I felt like I always had to be at the top of my game when I was playing a scene with her. I feel blessed to have had an opportunity to play a part on her hit show, Murder, She Wrote. Café: How would you describe the experience of writing your autobiography The Lucky Southern Star: Reflections from the Black Lagoon? JA: It was a lot of work putting my life story into words, but I enjoyed reliving the memories from my long career. Working with my son on the book was a lot of fun. He helped me research some of the lesser known projects I was involved with. The book is also filled lots of photographs that help bring the story to life for the reader. It has been rewarding that people who have read the book have enjoyed it. That is the greatest gift of all! Café: John Wayne, William Powell, Rock Hudson, Tyrone Power--you've worked with many of the most famous actors of the classic film era. Excluding James Stewart (we know he's a favorite), what actors did you most enjoy working with and why? JA: Rock Hudson and Tyrone Power were so great, each in their own way. Rock and I were about the same age, and many of the leading men I worked with were a decade or more older than me. So when Rock and I got to star in a movie together, The Lawless Breed, it was like the kids had taken over the candy store. I must confess that we goofed around a bit between takes, but I think our friendship and fondness for each other came though on the screen. Tyrone was a thrill to work with on The Mississippi Gambler. He was a real movie star, and when he walked on the set, it was as if a row of flood lights had been turned on. He just radiated charm and charisma. Despite being such a big star, he made everyone on the set feel at ease, which was so wonderful. We lost both of these handsome and talented leading men much too soon. 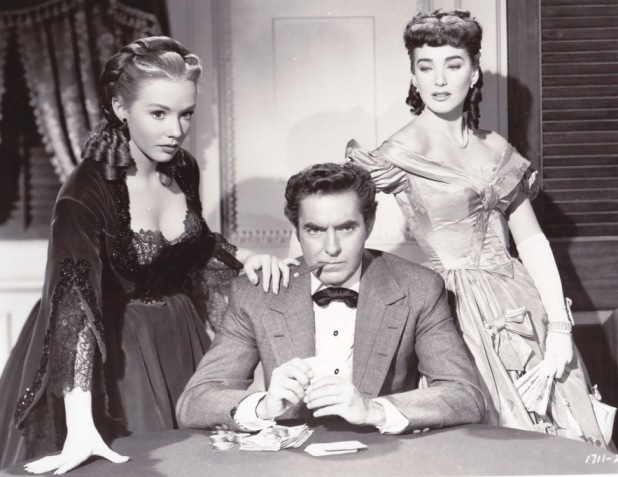 Adams in The Mississippi Gambler. Café : You keep a busy schedule with your appearances at movie conventions and signing copies of your book. Are there any upcoming events you'd like to share with our readers? JA: These events come out of the blue sometimes, but two that I've booked months in advance are the San Jose Super Toy and Comic Book Show (August 17) and Spooky Empire in Orlando, Florida (October 25-27). Ricou Browning (who portrayed the Creature underwater) will be at Spooky Empire as well, which should be exciting for fans of Creature from the Black Lagoon. 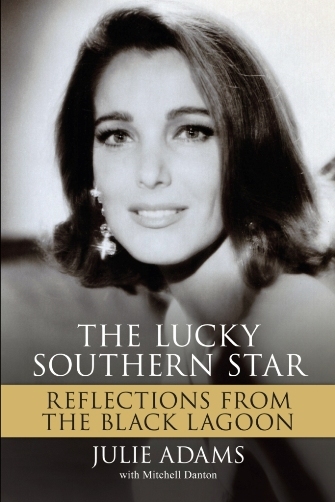 You can learn about Julie Adams and order signed (or unsigned) copies of The Lucky Southern Star: Reflections from the Black Lagoon at www.julieadams.biz. You can also "friend" Julie on her Facebook page. I'm so glad that Julie Adams is just as nice as I've always believed her to be. I loved her in CREATURE FROM THE BLACK LAGOON, a movie I own - that's how much I enjoy re-watching it even after all these years. She always came across first last and always as 'a lady'. Nothing wrong with that. Thanks for this great interview, Rick. Wonderful to read. Great interview, Rick. Always liked Julie Adams, and now I know why. A really fun movie she starred in is "The Private War of Major Benson" with Charlton Heston. She is so likeable in that. Years ago it used to be on all the time, but I haven't seen it in probably 30 years and it was never released on VHS or DVD. Too bad, because I think if it was more available it would become a great favorite of people. Alas, I've never seen "The Mississippi Gambler" but its at the top of my to see pile. Many of Tyrone Power's leading ladies had nothing but nice things to say about him. Really enjoyed reading this, Rick. What a wonderful treat to read your interview with the lovely Miss Adams. She's such a doll that I can't blame my hubby for being just a little bit in love with her. PS: I think I'm going to have to watch a couple of Perry Mason's this evening. I remember "The Jimmy Stewart Show" fondly and wish it had had a longer run. Fabulous interview with one of my favorite actresses. It's easy to understand the Gill Man's infatuation with her character in "Creature." Decades later, she still had "it" as Eve in "Murder She Wrote." I love Julie Adams. 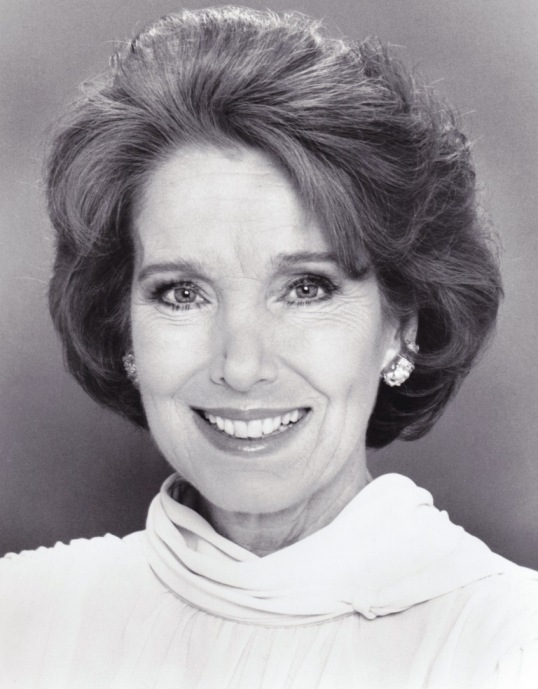 Such a lovely actress..and in many ways she reminds me of another wonderful lady of the screen - Vera Miles. Great interview and now I'll have to check out her autobiography. PS : I never knew Jimmy Stewart had his own show! Rick, it was such a joy to read this excellent interview with the gracious and lovely Julie Adams! I always thought she was beautiful and talented but her responses reveal a genuine warmth that is enchanting. I was really glad you asked her about the "studio system" because it truly is a different world for cinema post system. As always, you did an excellent job providing pictures. 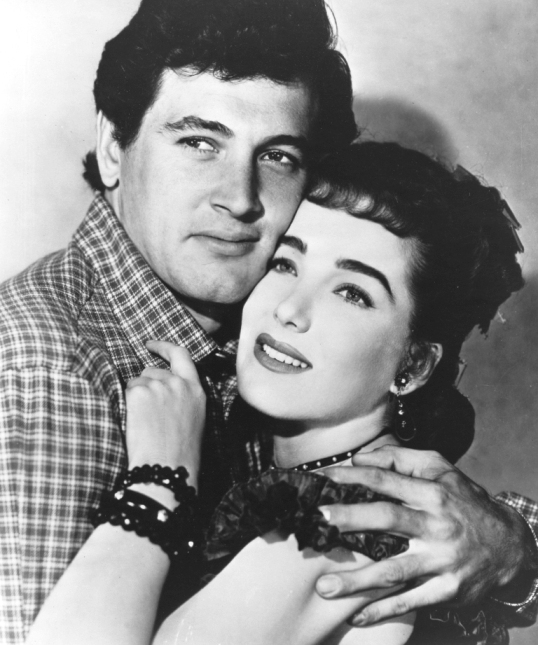 Rock Hudson looks so young in the picture from "The Lawless Breed." 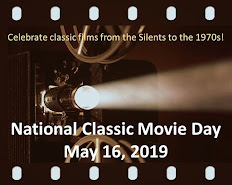 I have always thought that one of the most interesting things about movies is that it helps us remember people at different periods of their lives. I especially enjoyed reading about Miss Adams relationships with Jimmy Stewart, Raymond Burr, and Angela Lansbury. Thank you, Rick, for your thought-provoking questions and thank you, Miss Adams, for your heartfelt responses. Rick, great choice for an interview. I've had the pleasure of meeting Ms. Adams at two conventions. She is one of the nicest and most genuine people you will ever meet. I highly recommend not only her book, but the audio version of it. The audio version is like having Julie tell you her story in your home. Kudos to you, Rick, for scoring an interview with the oh-so-lovely Ms. Adams. Great to hear some stories from her about her other famous co-stars besides the Creech, as well. Nicely done! Rick, I really enjoyed reading your awesome interview with Julie Adams. 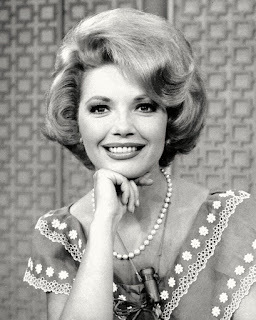 I have seen and enjoyed many movies and TV shows that she was in. Not to long ago I watched her perform in a Kolchak, The Night Stalker episode. Always enjoyed seeing Julie Adams in movies and television. She is one of my favorites actresses. I liked her in everything she was in, however, as a young child I fondly remember her in Creature of the Black Lagoon. I was lucky enough to see the 3D version of this movie too. I just loved it. A nice interview with a fine leading lady Rick. I really enjoyed your interview with Ms. Adams. TCM aired Creature earlier this winter and I tivoed it and let our youngest(9 yrs. old) watch it with me-he really liked it. That movie has become a sort of "rite of passage" horror film that I have let my kids watch before they hit their teens. I am going to get a copy of Ms. Adams autobiography-looks like an amazing read! She sounds like a delightful person. Don't you just love actors that are full of praise for others, instead of praise for themselves? Looks like a terrific book, too. You're very skilled at conducting these interviews, Rick. You seem to put these folks at ease and coax interesting stories/observations from them. What a delightful interview! She seems to be a very warm and friendly person! Good job! What's the Movie? We Describe It...You Name It!